Who would think that a building, and a temporary one at that, would give us a pattern for developing the intimacy that God so desperately wants to have with each of us. But that is exactly what the Tabernacle of Moses does. In this series we will go step by step and see how each item in the Tabernacle relates to us today, and confirms the Father’s desire to bring us back into sweet fellowship with Him through His Son, Jesus. Moses built the Tabernacle from the inside out, starting with the Ark of the Testimony and finishing with the erecting of the fence. We, however, will be going from the outside in, since this more typifies how a believer develops in increasingly greater intimacy with the Lord. It is important to note that God does everything in exquisite detail, so each word, each name and each item mentioned in Scripture is there for a specific reason. The number three is significant of God’s divine purpose and will, and we can see it repeated throughout the Bible. Here are just a few examples. Jewish men were to appear before the Lord three times each year for three different feasts. Jonah was in the belly of the fish for three days. Saul, before he became Paul, was blinded for three days. You and I are spirit beings, with a soul and housed in a body. 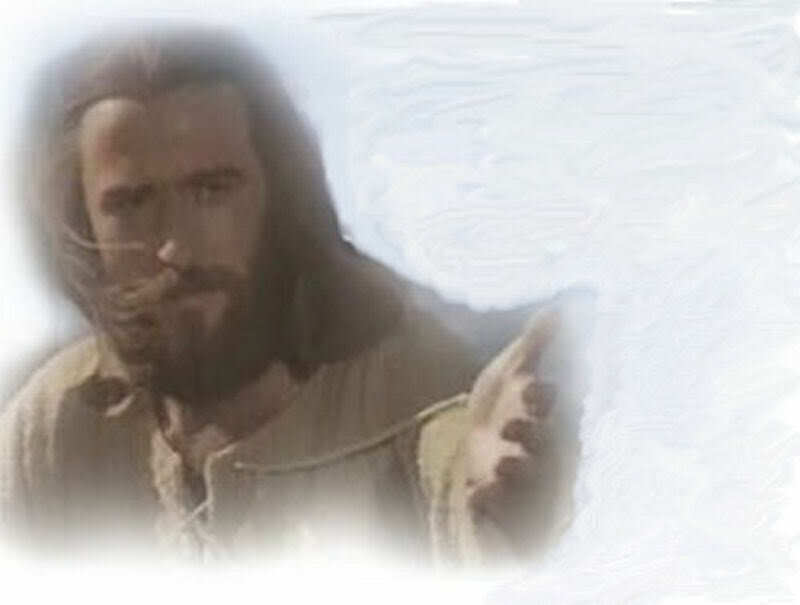 Most importantly, in the passion of Christ…………..Jesus asked the Father three times to remove the cup from Him; three disciples were with Him in the Garden of Gethsemane; Peter denied Him three times; Pilate tried three times to release Jesus; there were three crosses; on Jesus’ cross were three inscriptions in three different languages; He was crucified at the third hour and He rose on the third day!! In the Tabernacle we also see the same pattern of three. 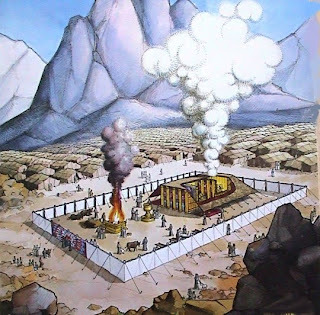 There is the Outer Court, The Holy Place and the Most Holy Place, also known as the Holy of Holies. Each represents a different degree of intimacy with the Lord. The outer court was enclosed by a fence which was made with sixty pillars of bronze, each capped with silver. Bronze represents judgment and silver represents redemption. How glorious to know that thousands of years ago the Father used the pillars of the Tabernacle fence to show that God’s judgment of our sin (the bronze) was covered when Jesus redeemed us (the silver) through His death, burial and resurrection! The fence hangings were all of pure white linen, with one exception - the only entrance by which men could enter into the Tabernacle enclosure. There was no other way that they could come in. They couldn't climb over the white linen hangings; they couldn't crawl underneath. They could not make their own entryway. All who entered had to go through The Gate. and I will cause you to rest. [I will ease and relieve and refresh your souls.]" Awesome Revelation and with such clarity. Praise God and His Holy Spirit! Thank you Audrey. The glory of God within the tabernacle and the beauty of total surrender to God is a wonderful message! Thank you again. Glory be to GOD, in the Highest! I give GOD all the Glory!!!! Thank you for depicting the the Tabernacle for our intimacy and relationship with out Father. This a clear and beautiful way for us to be refreshed, kept and inspired to enter into daily relationship with him. Whilst we are here on earth dwelling with him here.